"Having just bought a new house we needed the locks changed quickly. Cross County Locksmith came and changed both the front and back door locks in a quick, professional manner." "Eric at Cross County told me he could repair the existing ignition cylinder… and he did, for less than half of what I would have had to pay elsewhere. He is knowledgeable, skilled, honest and takes pride in his work." "You took care of my problem in short order with a quick response"
"Guy was very pleasant and honest. Would highly recommend him." "Talk about someone who knows everything about the industry!! Amazing!" "Cross County Locksmith identified problem areas that created a breakdown in the security of my home. They recommended a cost effective solution and now my family is safe. Truest thankful for their service and I highly recommend them." "Eric and his team are honest, efficient, and they do great work. Our office has used them on several occasions. I hand their card out to anyone who is looking for a locksmith. They get it done right the first time and are courteous." "We were very pleased with the work done by Cross County Locksmith. We have used his services many times and would recommend this Locksmith. The locks installed were done with efficiency and worked perfectly." "Cross County Locksmith helped me when I needed it the most. Very responsive and reasonably priced. Locked out of my house and they were able to get me back in. When I saw how easy it was to get in I asked them to upgrade my locks." "It was pretty late at night, but when my front door to my store broke at closing– I called Cross County locksmith, they were here very quickly. They took the whole door down and apart and fixed it right on the spot." 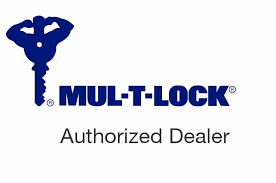 "I needed some locks and hardware changed and Cross County Locksmith had somebody out that day to take a look at the job, provide a free estimate, and get the hardware ordered asap. Within a couple days I had new hardware with new locks and it looked beautiful, and the job was done professionally, quickly, and cleanly." "Since I moved to Somers, I have had Cross County Locksmith do many jobs for me. They re-keyed all my home’s doors. I had them install new garage doors and opening motors. They replaced a drafty back door. I also went to them when I needed a fancy electronic key for my new car." We service westchester, Putnam and Fairfield counties. For a full list of towns inculuded in our service area.